The uWatch Hub is the hidden heart of the system. It is the management and communications hub for all the interaction between Cubes and users. It keeps the Cube firmware up to date and ensures that alerts and all other communications are secure and reliable. You interact with the Hub through the web interface or through the mobile App. The web interface allows you to initiate new devices and to change settings depending on how you are using your Cube. You can turn on sensors or change their sensitivity. For instance, you may decide that the Cube is to be fixed to a gate so there is no need for a GPS reading, temperature is not relevant, and only low resolution pictures are needed. So you will only get an alert if the PIR is tiggered or if the gate is opened. 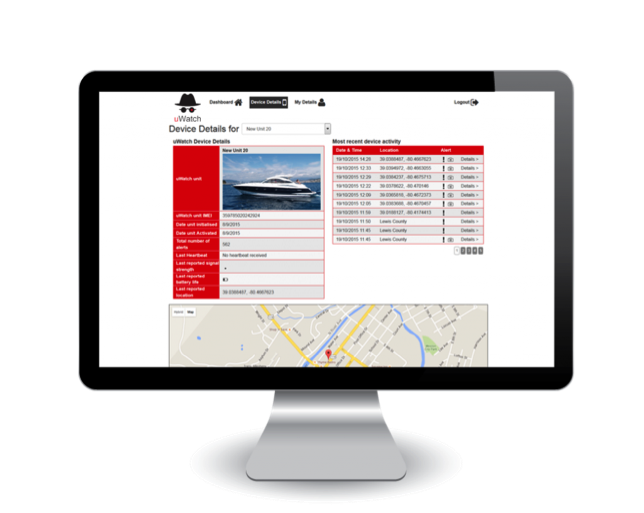 The web site and the App provide all the details of alerts together with the timestamp, photos and location on a map. They allow asset pictures to be taken, stored and amended.